Biltmore Estate (pic at top): Touring Asheville's own castle always makes a romantic date. Take advantage of the lowest rates of the year with several special offers. Their newest clothing exhibition "A Vanderbilt House Party" opens February 8. 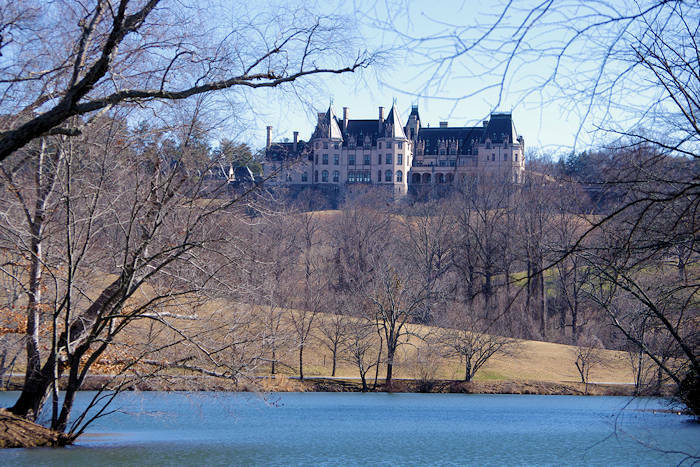 See Biltmore winter ticket specials. Bed & Breakfasts: Stay in a grand mansion or historic home and enjoy gourmet breakfasts, gracious innkeepers, and luxury amenities. 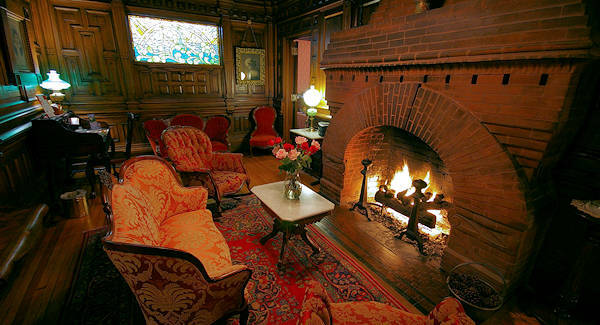 See our Top Asheville Bed and Breakfasts & specials / packages. 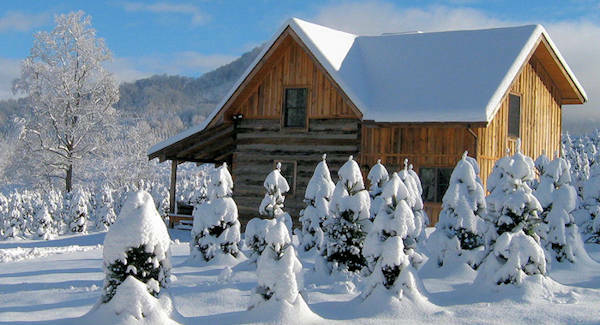 Cabins: Snuggle up in a log cabin or cozy cottage. 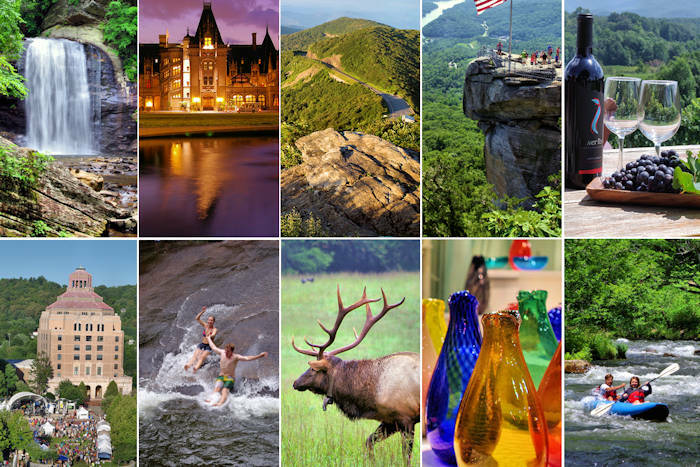 Browse through our Vacation Rentals Directory that features 500+ choices in and near Asheville. See specials and packages too! Spas: Relax with a couple's massage, soak in a hot mineral springs or invest in wellness techniques that will benefit you for a long time. See our Top 15 Spas. 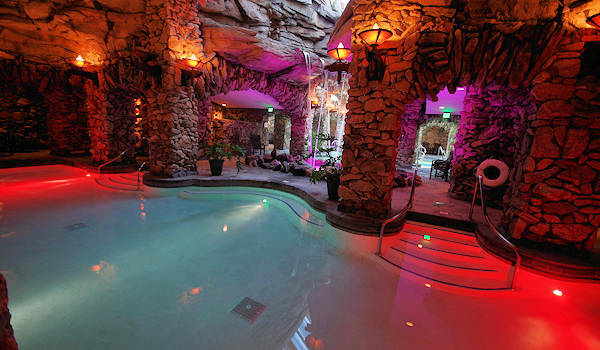 Photo: Spa at Grove Park Inn. Hiking: Take a hike for epic winter views. See our favorite 20 Winter Hikes along with some helpful tips. 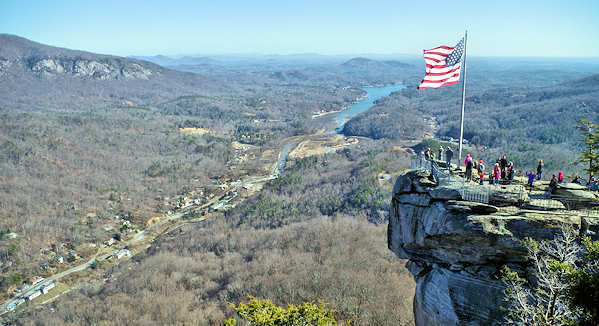 Chimney Rock Park is offering buy one, get one free tickets on Feb 14-17 - present coupon below (printed or on phone). Waterfalls: Enjoy the sounds and solitude of waterfall. Hike to see several or find one roadside. Take a picnic. 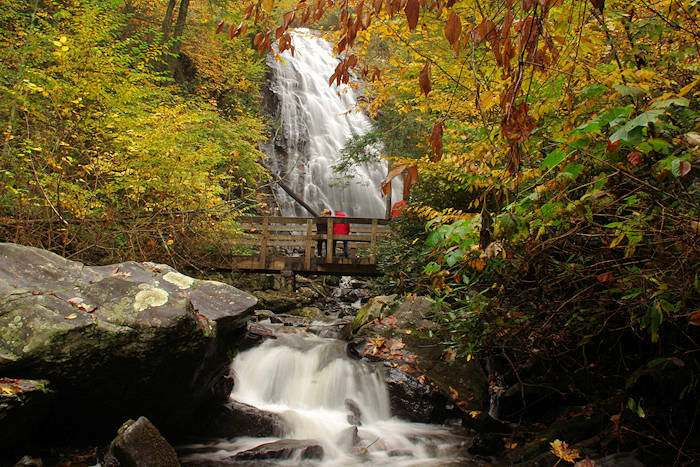 See our Top 20 Winter Waterfalls. 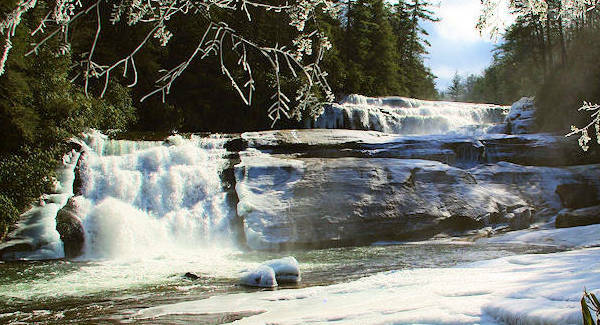 Our favorite winter waterfall hike is DuPont State Forest (Triple Falls in pic). 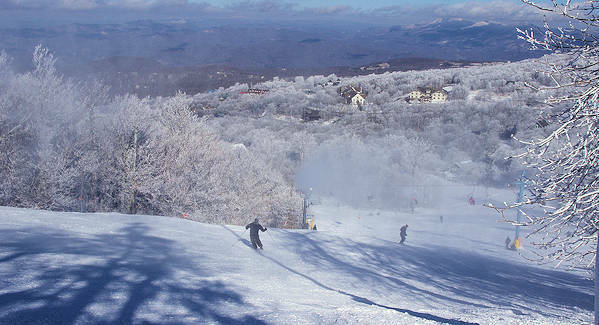 Snow Fun: Ski, snowboard or tube at one of several resorts near Asheville. Our top pick is Beech Mountain, the highest ski town in the eastern United States. 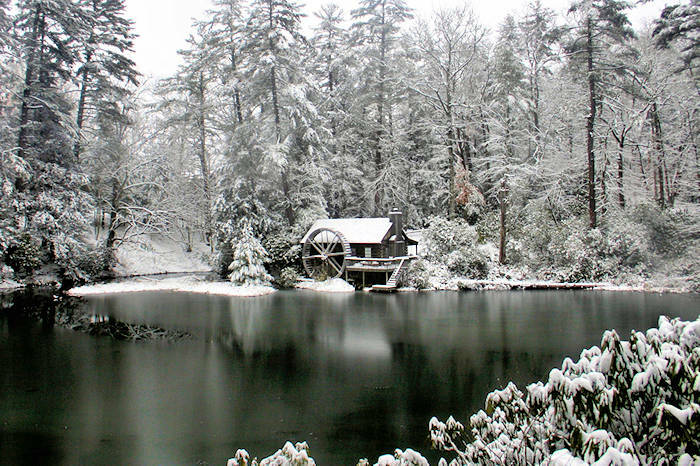 See our list of ski resorts in the North Carolina mountains. Downtown Asheville: Exploring the winding streets is so much fun with so many unique shops and art galleries to browse. 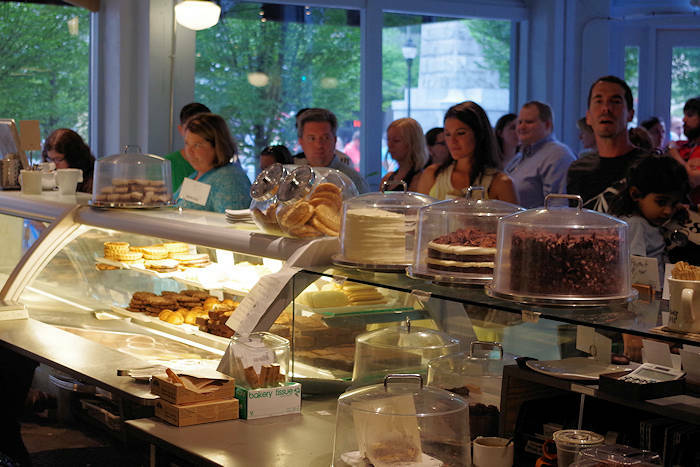 See our Downtown Asheville Guide. Warm up at a coffee shop or tea house. End the day with a cocktail or glass of wine or listen to live music and dance. And don't forget to sample hand-crafted chocolates. A creative way to explore downtown is walking the Urban Trail. February 14: Surprise your sweetie with LaZoom’s Love Bus! 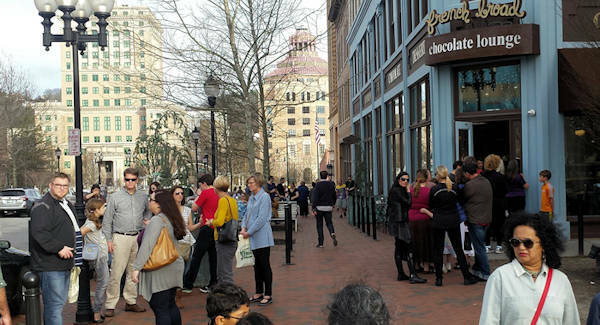 This 90-minute comedy city tour on the purple bus features live music, champagne, French Broad chocolate, Poppy Popcorn, and a bizarre comedy act at The Wedge at Foundation. 6 & 8 PM. $40/person. Reserve early! Read more about LaZoom. 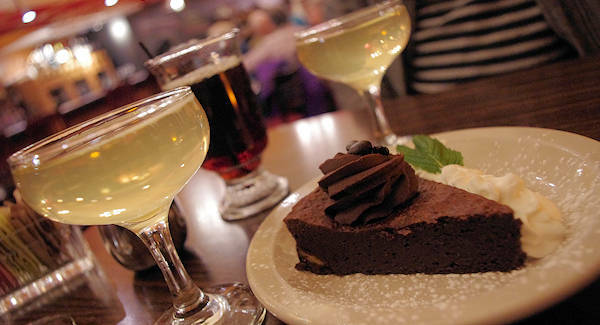 Dine: Asheville is a food lover's dream with a big variety of innovative independent restaurants that love to cook with the freshest local ingredients. Find something for every palette and budget. See our Top 40 Restaurants Guide. Also check out our favorite places for breakfast and weekend brunch. Make dining reservations well in advance! 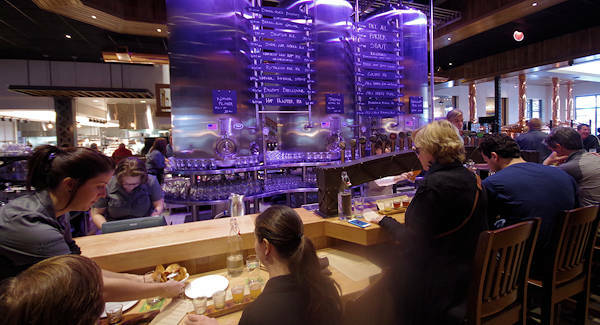 Beer: Raise your glass for a romantic toast with a local beer at one of our many breweries. Find many within walking distance in the South Slope Brewing District near downtown Asheville. See our Asheville Brewery & Pub Guide. Also: See our Top 25 Guided Tours & Experiences that will create special memories with your honey. Kick off Valentine's with this new, masquerade party in the Amherst grand ballroom on the estate. Don a mask and your most stunning attire for an evening of elegance with live entertainment, aerial artist, dancing, food, wine, photobooth, dancing and introduction of Mariporta wine. 8-10 PM. $150/person++. Passholders 10% off, wine club members 20% off. Reservations required, call 1-800-411-3812 x3. Perfect for the passionate collector or those just interested in the Arts and Crafts period. The three-day agenda includes lectures, small group discussions, special exhibitions, book exhibits, a contemporary crafts show and the finest of the antiques shows devoted to the Arts and Crafts period. Get advance tickets!